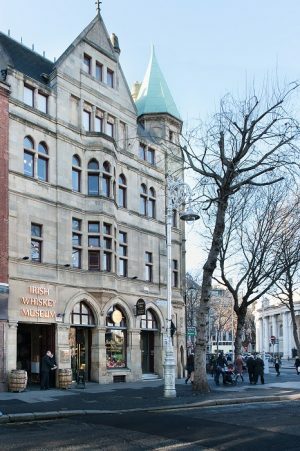 The Irish Whiskey Museum, which is housed in an Edwardian style listed building on the bottom of Grafton Street is the first Irish whiskey museum in the world! The Museum is housed over three floors with lift access to every floor. Together with excellent bus routes and close proximity to train stations, not to mention several multi storey car parks nearby, in terms of accessibility, the location is hard to beat. The building has been carefully and sympathetically refurbished and has wonderful views over the front of Trinity College and College Green from our Cafe Bar at the entrance level to the Museum. 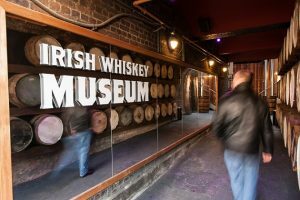 The Irish Whiskey Museum tells the story of Irish whiskey from its origins to the present day and gives visitors a glimpse of social and political history during the various stages of the rise and fall and rebirth of the whiskey industry in Ireland. 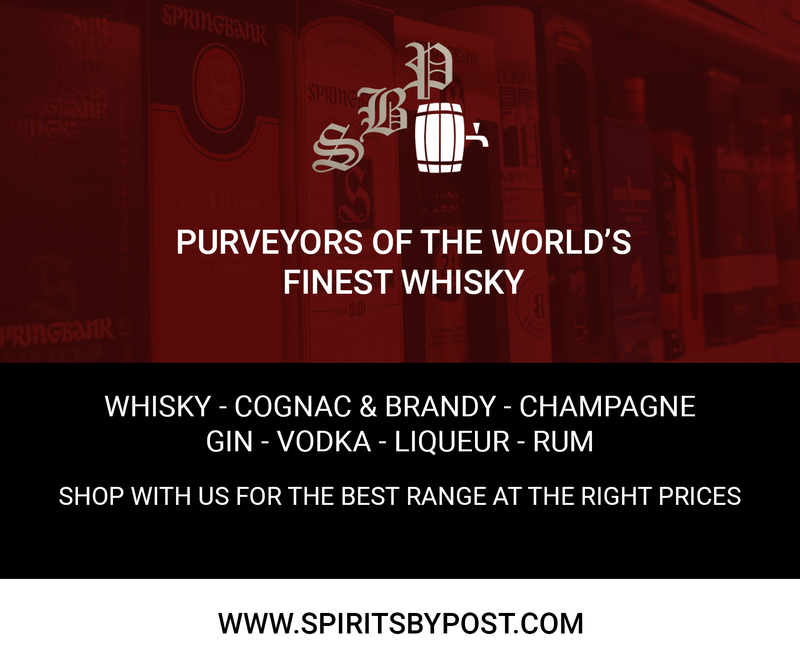 Visitors availing of the tour option are given a guided tour of the museum during which our very knowledgeable guides tell stories from the various stages of history. 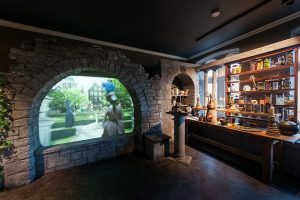 The tours are complemented by state of the art technology and interactive props through four very different areas of the museum representing different stages in the development and growth of whiskey in Ireland. 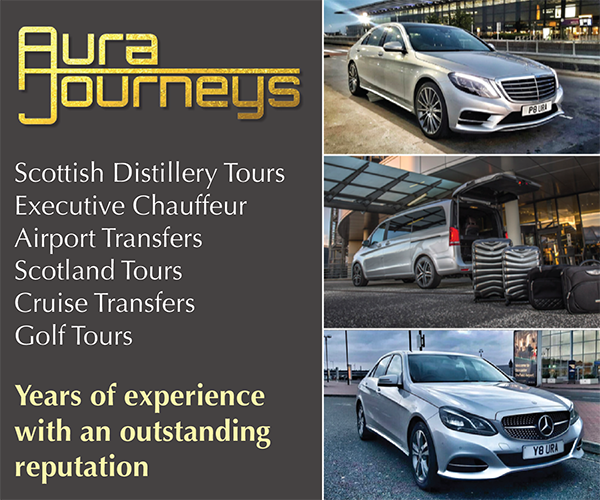 Tours run every day except Christmas day from 10am to 6pm (last tour). 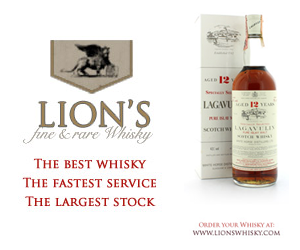 At the Irish Whiskey Museum, we also cater for small to medium sized private groups and parties for every occasion. The atmosphere in the museum is cosy and intimate whether there is 20 or 120 in attendance and we can cater for both size groups and everything in between.